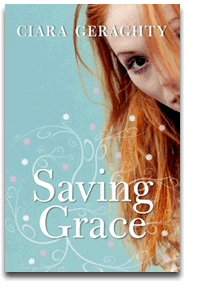 When Grace O Brien wakes up with more than just a hangover, she has reason to worry. She is in bed with Bernard O Malley, newest addition to IT. He s not going to be easy to explain to Shane, gorgeous boyfriend of nearly two years. Shane may be distracted with his high-flying city job but he was there when it mattered. Like that night in Spain, when tragedy struck and her brother Patrick died. So Grace is determined to put all guilty thoughts of Bernard O’Malley out of her head. With her sister s upcoming nuptials, strange goings-on at work, and a loved-up flatmate, she has enough to keep her busy.